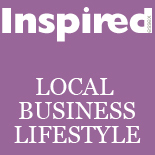 Inspired is going to be going from strength to strength in 2013, and we welcome your feedback, ideas and suggestions. Have you LIKED our Facebook page for updates and offers!? CLICK THE COVER – to see the online version. We are on Twitter @inspiredessex. Thanks! This entry was posted on October 26, 2012 by inspiredessex in Magazine and tagged Busniess in Chelmsford, Chelmsford Magazine, christmas, Essex Magazine, essex weddings, lakeside fashion, Magazines in Chelmsford, Wood Flooring in Chelmsford.